Need help or guidance on business insurance? Most businesses do, so you’ve come to the right place. Specialist covers – Cyber, Credit, Intellectual Property. Do you need them? We help you avoid making mistakes that could put your business at risk. To help, we have prepared a number of factsheets on specific insurance covers such as Cyber, Business Interruption and also issues such as avoiding underinsurance or if a vehicle is a write off. They are written in plain English and are free for you to download, but it is always best to speak to us about your specific issues or needs. Arranging insurance is not the same wherever you go and not all Insurance Brokers are the same. 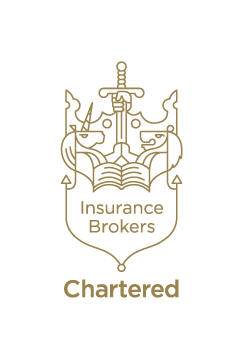 We are the one of the few Chartered Insurance Brokers in Sussex (3) and in the UK (less than 200) which demonstrates our commitment to professionalism, and perfectly illustrates our dedication to giving our clients outstanding service and the best possible advice. You will also find useful information in Phil Bristow’s ‘Business Matters’ articles. Phil has nearly 40 years’ experience in the insurance industry and has been writing monthly articles in the Worthing Herald on topical insurance issues for 10 years. They are informative, can be controversial and occasionally humorous. Follow this link and use the search facility with key words such as ‘flood’ to find relevant articles.